Our strategy is to provide customers with differentiated solutions enabling them to achieve optimal business results, which in turn drives superior value for our shareholders. The core of this strategy is our data visualization technology, powered by organic R&D initiatives and strategic acquisitions that complement our core businesses. 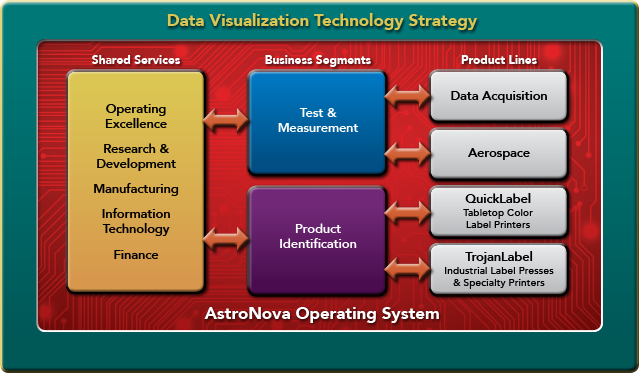 Excellence in product innovation, a unique ability to plan, execute, and integrate acquisitions, and our unyielding pursuit of efficiency help AstroNova continue to build a competitive advantage around the world.